Welcome to our guest blogger, Yarrow Townsend. This is the third in a series of three posts she is writing for the Sally Bibb blog. The stories in the post are true, but names have been changed. 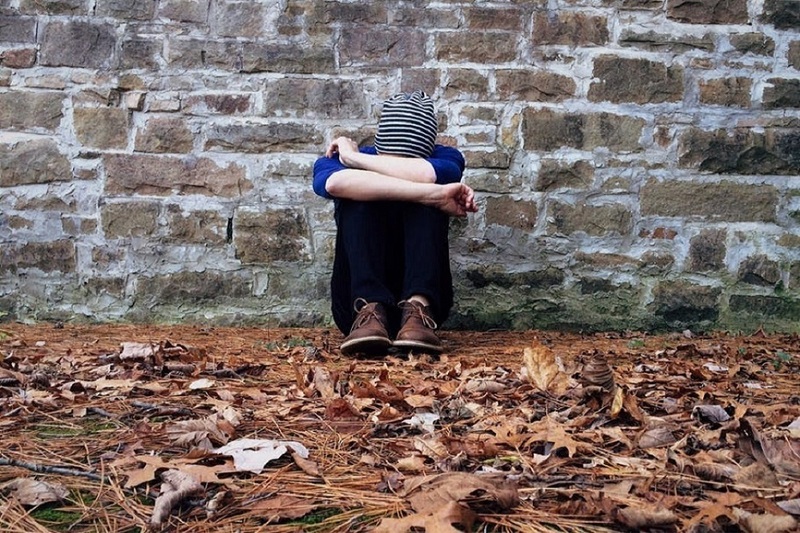 Whether you are a parent, a teacher, or a mentor to young people, you’ll be aware of the high rates of depression, anxiety and stress among teenagers. The pressure to succeed in exams, the feeling that decisions made now will impact their whole future, and concerns about student debt can weigh heavy on young shoulders and negatively impact mental health. I’ve seen many students burst into tears during careers advice sessions, suffer panic attacks in the corridors or miss application deadlines while trying to write the perfect personal statement. I know many young people who have dropped out of university courses or found themselves in first jobs that do not feel right for them. Any of us, at some point in our lives, even if we are not a careers adviser or teacher, could find ourselves talking to a young person about their future. What we say will matter, a lot. How can we ensure that careers advice sessions, whether formal or informal, will actually be valuable to a young person and not just ten stressful minutes of yet more pressure to make a quick decision that boxes them in to something that suits us rather than them? 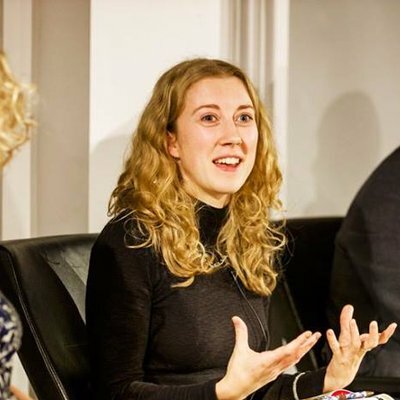 When I worked at a Sixth Form College, I noticed that the students who felt most confident about their career decisions were those who did something else in their spare time: whether it was writing, playing an instrument, being part of a sports team, or getting involved with community work. Often it was the unscheduled activities that most allowed them to flourish: the girl who designed tattoos, the boy who spent his time taking apart computers, the student who was dedicated to LGBT rights. So many students panic when faced with a university prospectus or a job search because they don’t know where they would fit. By spending time pursuing activities they love, they will have a better idea of who they are, where their interests lie, and the path that’s right for them. It can seem hard to take time out of a busy study schedule or try something new away from friends. But it will have an enormous impact on wellbeing and potentially widen the young person’s ideas about possible careers. It might sound counterproductive to add more activity into a packed school or college schedule. But work experience is undeniably the best way for young people to find out if a certain field is for them. Placements give them insight into the working world and reveal misconceptions about their chosen career. Miriam was a Health and Social Care student. She was the quieter one in her friendship group. But after work experience, she talked enthusiastically about how she would be looking into Community Work. She had always thought she would work with children, but after spending time at a community centre for older people, she really felt that she would have something to contribute in this area, because of her knowledge of other languages and her high level of empathy. She was clearly more confident following this work-experience placement, because she’d enjoyed the environment and had felt like a valuable member of the team. It can be difficult to find work placements and I have found that asking family or friends is often the best way of securing an opportunity. In my experience people are really happy to help if asked. You could invite young people in to shadow you for a day, if you can’t offer a regular or longer-term placement; even a one-off visit can open a young person’s eyes to what a job or work environment might really be like. Especially, what could you show them that communicates what you love about your work? And what you don’t! If you are a parent, remember that if your job doesn’t interest your own child, it could be the perfect option for a friend or classmate. The majority of students are frustrated with school careers provision. I remember completing a questionnaire that told me I should either be a vet, or a dustbin man, the same as the person next to me. There was such little variety in the options given. So many of these ‘tick box’ careers guides make their way through classrooms nationwide, but young people find them time consuming, impersonal, not very useful and, as a result, stressful. Introducing strengths exercises made all the difference to my students. If you’ve read my previous article The careers question we should be asking all young people, you’ll know the difference it makes to ask a young person what they love. Using extracts from Sally Bibb’s The Strengths Book, we were able to take this even further. Sarah studied sciences and was interested in environmental issues, but did not know which way to go with them. She clearly had very low self-confidence. She also looked after a parent at home and had struggled to find time to consider her next steps. But working through The Strengths Book didn’t feel like a chore to her. I could tell that that she was gaining confidence and starting to realise that things she saw as part of her everyday life (such as being a young carer) were real strengths. The activities in the book helped her to pinpoint a way in which she could combine her interests (environment, nature) with her strengths. She decided that she would like to look into local organisations that ran outdoor activities to support mental health. It was great to see her gain confidence in her strengths. This is something that a tick-box exercise would never be able to do. Growing up in British culture, the majority of us learned to be modest about our strengths. And things don’t seem to be improving. Young people nowadays are suffering an extreme crisis of confidence. The majority of my students lacked confidence in their own ability: whether it was to pass exams, do a presentation, or complete work to a deadline. Even more worryingly, young people struggled to tell me what things they were good and, and what they loved doing. I believe that this is because we are not giving young people the language to talk about their strengths or be confident in their abilities. I’ve seen so many students who are great communicators, creative thinkers, empathisers, artists… but they would never identify these strengths themselves. It often takes an outsider to give young people confidence in themselves. Keep an eye out for young people’s strengths. When do you see them shine? In The Strengths Book, there is a section where students must ask people they know to identify what their strengths are. Have a look at the kinds of questions posed on page 56 in What do others think? : are there opportunities for you to point out strengths to young people you know, or could you encourage your friends, colleagues, employees or employer to do the same? Teenagers change their minds. A lot. This is often because they are so excited by all the opportunities out there. Even as an adult, I often see projects that I would like to be involved in, or initiatives I would like to run. As teenagers, the world is our oyster. The choice is amazing, but it can also be intimidating. Our decisions are informed by so many aspects: culture, prestige, finance, trend, friendship, relationships, family. It is often easy to forget to follow our hearts, and our strengths, especially if we feel we don’t have permission to do so from the important authority figures in our lives. One student’s dad actually told her not to expect to love her job as most people didn’t and that it was unrealistic to pursue that idea. We all benefit from being reminded that we can choose the path that we love, at any point. Teenagers more than most. The stress resulting from realising that you are pursuing the wrong career can feel intense, especially the first time it happens. Young people may find themselves on the wrong college or university course, or in a first job that makes them miserable. We need to do all we can to help young people understand and believe that if they change their minds, or need to switch paths, it does not mean that they have failed. From a young age, we can tell children stories about the people who have followed their dreams. Neil Gaiman’s Make Good Art (Commencement address to Philadelphia’s University of the Arts, 2012) – Heart-broken? Make good art. Cat exploded? Make good art. A small inspiring book about how we can make art through hardship. Almost all biographies! Footballers, Actors, Artists. All of these will be stories of people doing what they love. The stories are as varied as the young people you know, so there will surely be one to inspire them. A good starting point is an anthology like Nevertheless We Persisted: 48 Voices of Defiance, Strength and Courage by Amy Klobucha. I believe that the career path we take should be one that will allow us to excel at being ourselves. The earlier we can make a start towards that aspiration in our own lives, or help a young person to do it, the better. A first career choice will probably always feel like a huge decision to a young mind, but the secret to making it as stress free as possible is that it should flow naturally from knowing as much as we can about who we really are and what we love to do. This is a guest post for the Sally Bibb blog by Yarrow Townsend, Writer, Artist and Stable Hand. Previously a full time teacher, she loves sharing what she’s learned about the power of strengths, and has always been determined to seek and find work she loves. Connect with her on Twitter at @yarrowtownsend. 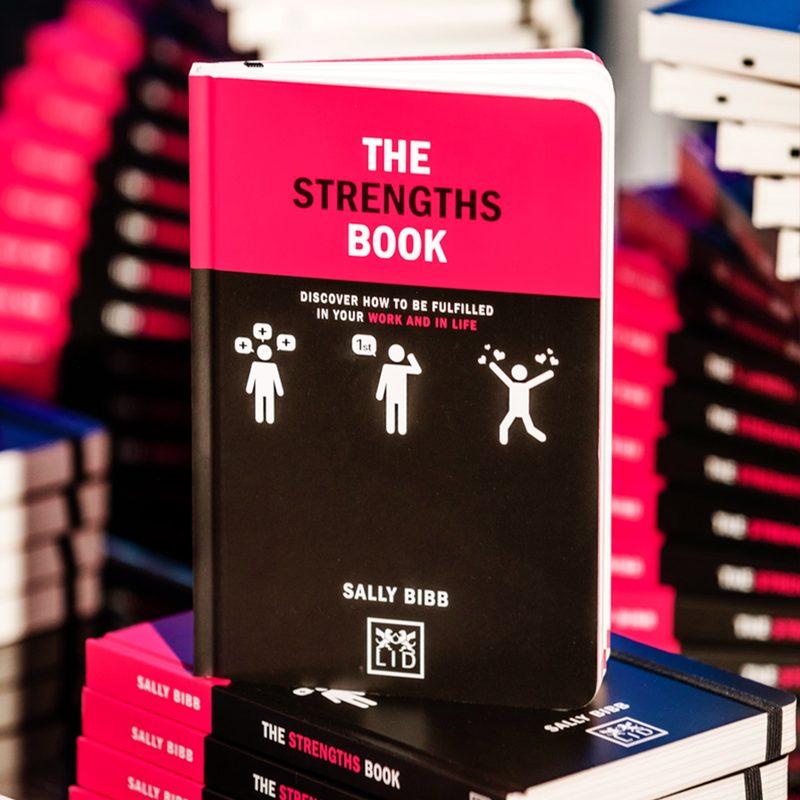 If you’d like to discover more about your strengths and how you could apply them to your career or in life, check out The Strengths Book by Sally Bibb.